North Korea's senior official appealed to donors not to let political considerations get in the way of humanitarian assistance. 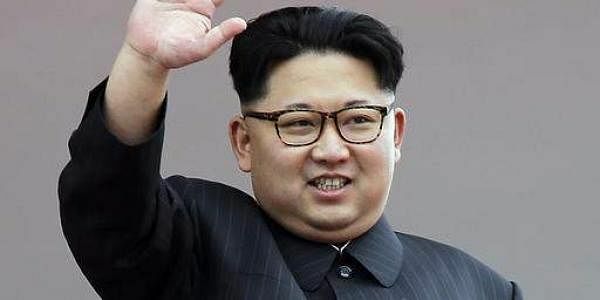 SEOUL: Chronic food shortages and malnutrition are widespread in North Korea, a UN-led report said, as a senior official appealed to donors not to let political considerations get in the way of humanitarian assistance. The "Needs and Priorities" assessment by the Humanitarian Country Team, a group of UN agencies and NGOs, said that the population had "crucial, unmet" needs. Around 41 percent -- 10.5 million people -- were undernourished, it said, citing figures from the International Food Policy Research Insitute's 2016 Global Hunger Index, which ranked it 98th out of 118 countries. North Korea is "in the midst of a protracted, entrenched humanitarian situation largely forgotten or overlooked by the rest of the world", said Tapan Mishra, UN Resident Coordinator for North Korea. Securing funds for humanitarian programmes in the nuclear-armed country, which is subject to multiple sets of UN sanctions for its weapons and missile programmes, "has historically been very challenging", Mishra said. "I appeal to donors not to let political considerations get in the way of providing continued support for humanitarian assistance and relief." Around 18 million North Koreans, or 70 percent of the population including 1.3 million under-five children, depend on the government-run Public Distribution System for rations of cereal and potatoes. But most people do not consume a sufficiently diverse diet for healthy development, the report said. Between July and September last year, the report said, average monthly public rations fell to 300 grams per person per day, far below Pyongyang's target 573 grams. There were "complex, intertwined" reasons for the high malnutrition rates in the North, the document added, including unfavourable land and weather conditions for food cultivation as well as a lack of quality seeds, fertiliser and equipment. The North has periodically been hit by famine, and hundreds of thousands of people died -- estimates range into the millions -- in the mid-1990s, a period which was known in the country as the "Arduous March".